1) Hoaxing. There is a trickster component to human DNA. We love to hoax, do stunts, play pranks. It's what we do. 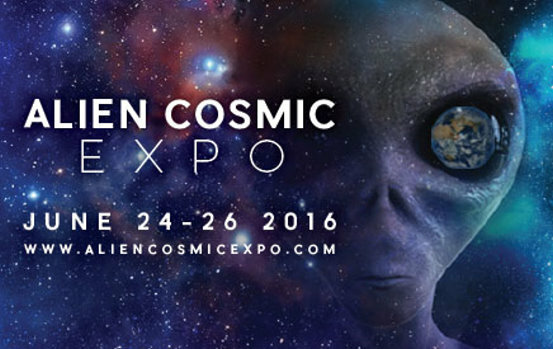 UFO/ET hoaxing will increase - perhaps dramatically. Over the decades hoaxing around the ET/UFO issues has been constant, and the government propagated ridicule component of the truth embargo has played a significant role. You can hoax a bomb threat to an airport. All in fun, right? Wrong. You go to jail for ten years. But you can conduct any manner of hoax about the ET phenomena without consequence, and it's going to get worse. 2) Predictions. People are going to get excited and predictions will follow. This is also human nature and understandable. Just keep in mind that most of these predictions will be arbitrary and wrong. 3) False witnesses. Disclosure will be the biggest show on Earth. Lots of people will want to be on the stage, whether or not they have any connection to the issue itself. 4) Real witnesses. As Disclosure approaches many legitimate military/agency/political witnesses may feel they can finally step forward. Obviously, assessing this process will be complicated by the false witnesses. All that can be asked is the public and the media do their best in applying reason and common sense. 5) Elaborate stories. These are essentially hoaxes of a very advanced level. You will be presented stories of great complexity and depth with long histories. They will be quite entertaining, and they will be completely bogus. 6) Opposition. Disclosure will be the most profound event in human history. There are many who feel it is not time. We should wait until we are more technologically or spiritually advanced. We should let the government decide. Etc. Some of this opposition will be legitimate reflections of concern, and some of it will be propaganda. 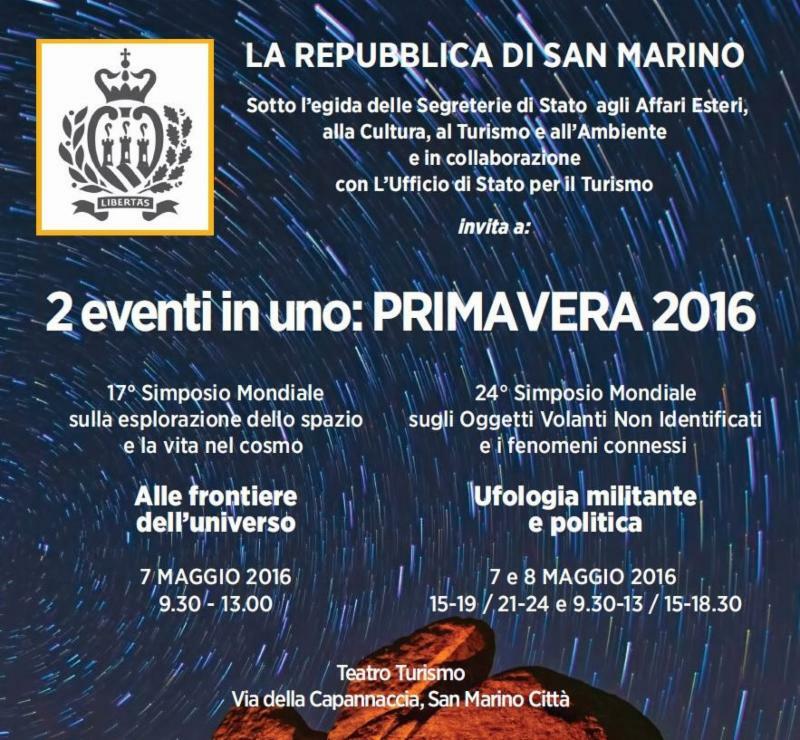 7) Disinformation. This is the most difficult task facing the public and media. All of the above may include orchestrated disinformation in which some truth is embedded in order to undermine and slow down the Disclosure process itself. Some of this will be conducted by private citizens who are simply not ready to face the truth. Some of this will be managed by government entities. The latter, of course, will be the more sophisticated. The government is very good at information manipulation. In the Internet era such actions are easier and more available to more people than ever. Website cutouts are already operating and their number will grow. A great challenge facing the current generation is navigating the mine field of bogus websites being created by governments, corporations, nefarious NGO's, etc., etc., etc. This mine field is perhaps the leading reason to get an excellent education. The uneducated will be the victims of this new reality. Which is to say much effort, time and money will be required if the paradigm shift that is coming and the post-Disclosure world that follows will be an honest transit in service to all and not just a manipulating few. The truth costs. Lies you get for free. 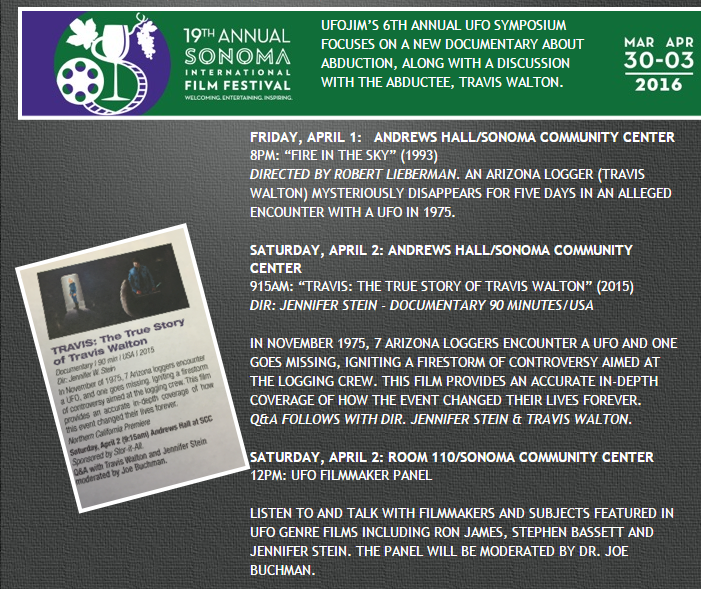 SIFF is the only mainstream film festival in the world to include events and films related to the ET/UFO phenomena. This is due to the efforts of its executive director Kevin McNeeley and curator Jim Ledwith. See Jim talking about the Saturday Symposium, which will include a showing of the original film about the Travis Walton case, Fire in the Sky. Also, a documentary on the Travis Walton case will be screened along with a panel discussion that will include Travis Walton, Stephen Bassett and producer Jennifer Stein. Moderating will be Dr. Joseph Buchman. There is no charge for the Symposium events.